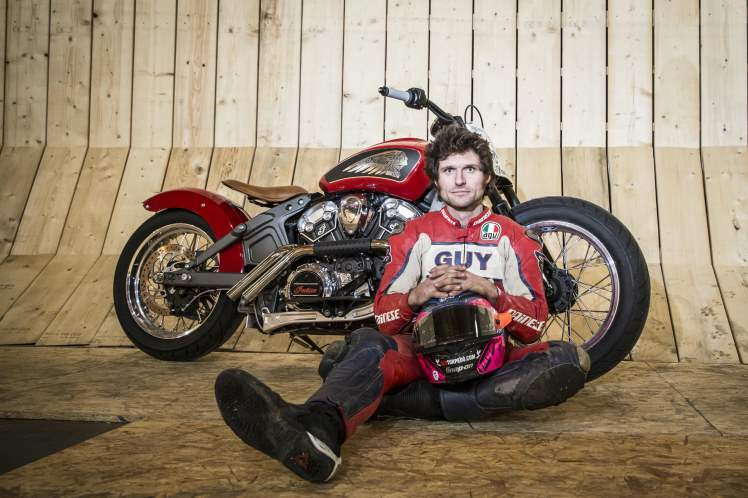 Guy Martin has successfully broken his own Wall Of Death record live on Channel 4. He reached an impressive speed of 78.15mph while driving on the biggest vertical Wall Of Death, with his new speed smashing his previous record of 70.33mph. The TV presenter and self-confessed adrenaline junkie faced forces of 5.2G as he carried out the incredible stunt in a hangar in Lincolnshire. The 34-year-old was hailed by viewers for not only smashing his previous world record but for having the balls to do it in the first place. Guy Martin is the embodiment of everything great about Britain; genuine, hard working bloke who's brave as all hell & never gives up. Guy Martin. I salute you. The hit series Speed with Guy Martin is returning later this year when he will be hoping to claim a number of other world records including breaking the 200mph barrier in a souped-up Transit van. Guy wasn’t the only one to break a record either. He was joined by rider Shanaze Reade who broke a world record on the Wall Of Death with a speed of 26mph, one mile over the previous record.